Morocco has suggested hosting the Spanish super cup between Barcelona and Sevilla in a single match in a neutral stadium instead of two matches as has been the tradition. The option has been boosted by the approval of the concept by La Liga and the Spanish football association as the two teams’ schedule is busy for two matches. 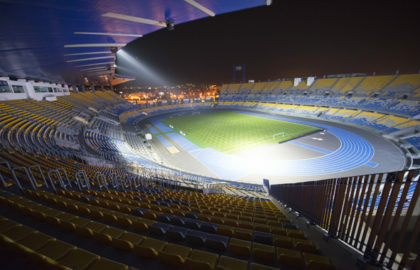 Tangier was put forward as a venue by the Moroccan football association (FRMF). Sevilla were only willing to accept the one-off match if it was to be played at their ground, the Ramon Sanchez-Pizjuan stadium. This is due to the fact that the first leg of the match has already been included as part of the season ticket price. This is something which Barcelona, logically, don’t agree with. As such, they aren’t against the idea of the match being played at a neutral ground, and also see the chance to play in Morocco as a good option. The current format dictates that the super cup games are to be played in two different occasions, each team hosting one leg.